It’s the return of the Rivals series on Outside of the Boot, with a special tribute to probably the 2 best enemies in world football. As with almost every other rivalry in football, in fact in any sport, there is a heady mixture of geographic, social, and sporting history that defines a fixture. Alex Lynch takes on Celtic vs Rangers. No matter how well the Scottish national team is doing, or what the state of the SPFL is, the rivalry between the two biggest clubs in Scotland will always capture headlines around the United Kingdom. This is because the rivalry between the two Glasgow clubs—Celtic and Rangers—is one of the oldest and most fierce in all of Europe. Some of this has to do with the fact that the Scottish game doesn’t offer all that much in terms of high quality teams or teams with money outside of these two. But most of it has to do with the identity of the two clubs and the political views that the two clubs represent, along with the fact that either Celtic or Rangers has won almost every Scottish title outside of Alex Ferguson’s tenure with Aberdeen. The roots of this rivalry are embedded in Scottish culture, as the rivalry between the two clubs represents the divide of the people in Scotland and Northern Ireland as well. The supporters of Celtic tend to be Irish-Scots, who are descendants of Irish immigrants (such as Everton’s James McCarthy). These immigrants came from Ireland to Scotland predominantly during the famine period, and the founders of Celtic were Irish immigrants themselves. Ever since the founding of the club the supporters have been Irish and almost all of them are Catholic as well. This is a stark contrast from Rangers, who are a club that has primarily native Scots who are protestant. The divide in religion creates a rivalry that is as personal as any in world football. This also leads to different political views and different national identities of the supporters groups as well. The pro Ireland vs pro U.K. views of the supporters creates an incredible divide and downright hatred for one another. Now that the reasons that the clubs hate each other have been stated, let’s get to the Football, which is another huge contributor to the rivalry. The first meeting between the Glasgow giants came in a friendly in 1888, which Celtic won 5-2. Two years later, Celtic and Rangers were two of the original 11 clubs to be included in the Scottish Football League. Ever since then, the two clubs have faced each other a staggering 401 times with Rangers winning 157 games which is slightly more than Celtic’s 145. The Glasgow giants have drawn 97 times as well, which shows how even they’ve been over the years. And the beginning of the rivalry was no different than the history, as the meetings between the two were close and tightly contested. Celtic got off to a good start against their rivals by winning 5 of the first 9 fixtures while drawing the other 4. And Celtic were able to do this even though Rangers shared the league title one of the seasons. But the great start by Celtic was put on hold as Rangers thrashed the Celts 5-0 in the 1893/94 season. The rivalry would remain even from that point forward with some notable wins for both side, with 4-0 away wins respectively. But Celtic established themselves as Scotland’s dominant team, with 10 league titles to Rangers’ 5 by 1909-10. This was mainly because the Celts won 5 titles in a row until ‘Gers recovered and broke the streak in the 1910-11 season. Rangers would end up winning 3 times in a row starting in 1910-11, but Celtic would respond with 4 titles in a row starting in the 1913-14 season. And since the Glasgow giants had firmly established themselves as by far the two best teams in Scotland, the rivalry became even more important. So much so that the rivalry remained even, and most years were like 1914-15, which saw Celtic and Rangers win 2-1 on their home soil in the Old Firm derby. Scottish football would stay like this until the 1919-20 season, which saw Rangers being dominant like never before. This was because the boys in blue would go on to win 10 of the next 12 league titles until Motherwell won the league in 1931-32. And Rangers began to dominate the head to head matchups against Celtic as well. ‘Gers would end up winning 9 out of the 10 meetings they had with Celtic going from 1925-26 to 1929-30. And even after Motherwell finally won the league over Rangers, the Glasgow giants would go onto win the league 3 years in a row once more, which gave Celtic a 9 year title drought. And then after winning 2 of the next 4 titles, Celtic would go on to have another title drought this time of 8 years. 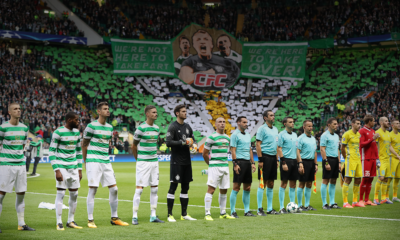 For a team like Celtic that had become so accustomed to winning the league almost every season since the beginning of the club’s history, the inability to beat Rangers in head to head matchups and for the title was devastating to say the least. But the Celts eventually caught back up to Rangers in an era which is seen as the most dominant period on Celtic’s history. This period from 1965-78 saw Celtic win the league a stunning 9 consecutive times and 10 times total under Stein’s tutelage. The Celts won 8 Scottish Cups and 6 league cups to go along with the league titles. And it wasn’t just on the domestic scene where Celtic topped Rangers, as the Celts became the first British side to ever win the European cup with their famous triumph in 1967 and they reached the final in 1970. And while Celtic dominated in terms of the trophies they won, they also had some significant results against their rivals. During Stein’s first season in 1965-66, Celtic beat Rangers 5-1 and eliminated them from the league cup with a 2-1 win. Celtic would then win 2 out of the three meetings in the following season as well. Celtic then beat Rangers 4-0 in 1968-69 and they eliminated Rangers from the Scottish FA cup in 1970-71. Celtic had clearly become the better side in the rivalry, but eventually things would even out once again until the late 80’s, when Rangers would begin to dominate again. ‘Gers won the league 9 times in a row with the 9th coming in the 1996-97 season. 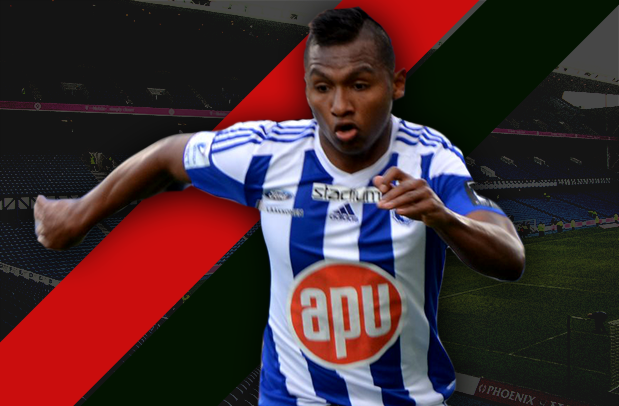 The two teams would once again even out, but then Celtic would begin to dominate once again. But this time, the dominance of the Celts wasn’t necessarily due to themselves as much as it was due to the decline of Rangers. 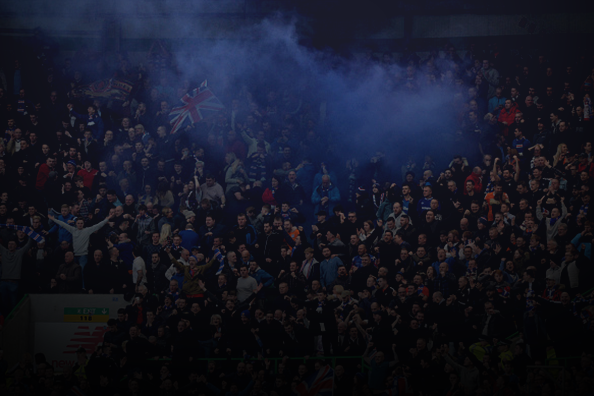 In 2012, Rangers were liquidated and subsequently sent to the 4th tier of the Scottish game. 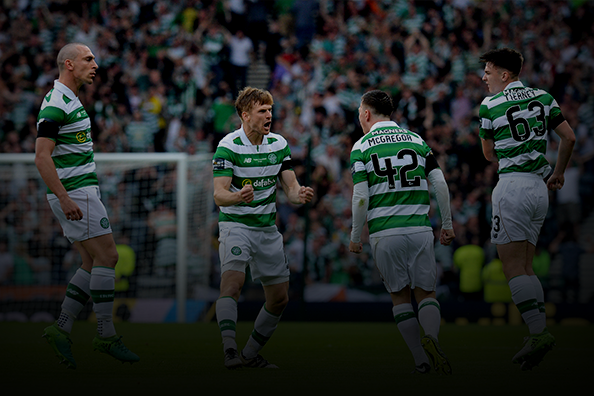 This opened the door for Celtic to dominate and the Celts haven’t faltered. 5 straight league titles and some European success as well has put Celtic at a level of dominance that the Celts haven’t seen since the Stein era. 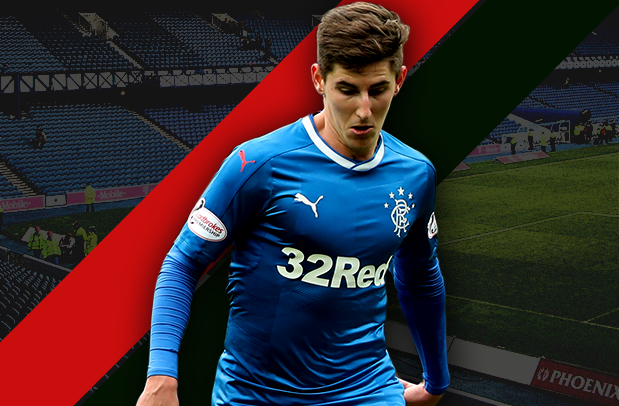 But now that Rangers are back, Celtic will once again have to fend off their rivals and compete in the Old Firm derby. February 2015: League Cup: The significance of this contest lies more in the fact that the game happened rather than the contents of the game. 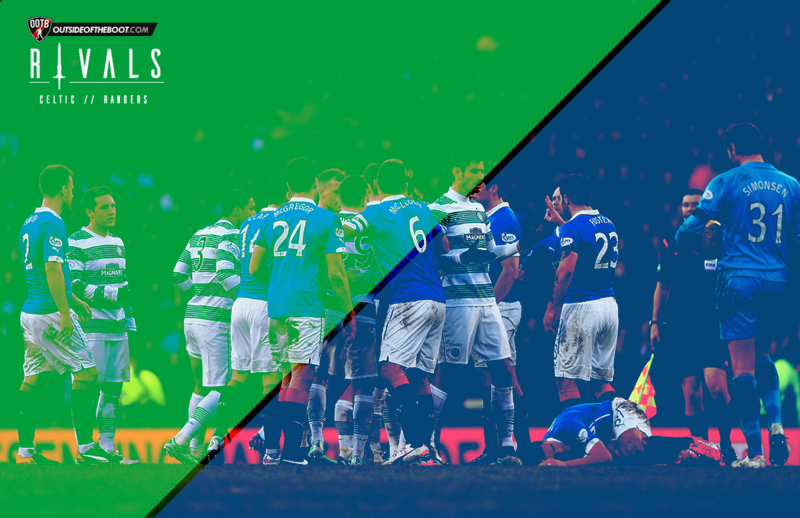 This match in February of last year was the first time that Celtic and Rangers faced off since the liquidation of the latter. Celtic eased to a 2-0 victory, and the rivalry which everyone thought was once dead had come back from the dust. October 1957: League Cup: This game is one of the most famous games in Celtic’s history and one of the darkest for Rangers, as the Celts came away with a 7-1 victory to win the league cup. This game is the largest victory in the history of the Old firm derby, and it’s so significant amongst Celtic supporters that it’s referred to as Hampden In the Sun amongst fans these days. This final has been mentioned in a book, songs and is one of the most famous games in Scottish football history. May 1980: Scottish Cup: This match might be the most famous Old Firm derby of the all, not because of what happened on the pitch but what occurred after the game. Since this game was a cup final—between two teams who both failed to win the league in Celtic and Rangers—the stakes were very high. It was the first time in recent memory that neither of the Glasgow giants won the league, and both sets of supporters wanted to avoid embarrassment. Since there was so much on the line, when Celtic ended up topping Rangers 1-0 in extra time, both sets of supporters couldn’t contain themselves. Largely due to large amounts of alcohol consumption, the infamous Hampden riots took place after the match ended. These riots saw sets of supporters storm the pitch and damage it in the process. And now alcohol is forever banned from Scottish games, and this was one of the many reasons why Celtic and Rangers aren’t allowed to face off in cup finals anymore. Mo Johnston: One of the few players who decided to play for both Celtic and Rangers during his senior career instantly makes him one to remember for both sets of supporters. But these days he’s more associated with Rangers due to his controversial transfer which saw him snub a return to Celtic and sign with Rangers instead. His transfer is still one of shock as he was not only a catholic who signed for Rangers, but he also “divided a city” (according to The Daily Record). Artur Boruc: Even though he plies his trade in the Premier League with Bournemouth these days, the Polish goalkeeper with always be remembered for his actions towards Rangers supporters as a member of Celtic. During his time with the Celts, he infamously made gestures towards Rangers supporters during a match at Ibrox in 2006, and a few years later he was fined for making gestures at Rangers supporters again. Combine that with his fantastic goalkeeping ability and his terrific tenure with Celtic and you have a player who Celtic fans adore and who Rangers fans can’t stand. Andy Goram: Goram made a name for himself with Rangers during a spell that saw him become one of the best goalkeepers in Rangers history, with his Old firm performances having a lot to do with his status. Winning the league 6 times and winning player of the year, he became loved by Rangers supporters. But on the other side of Glasgow, he wasn’t loved at all, and his performances against Celtic made him one for the fans to hate. When former Celtic boss Tommy Burns said that “Andy Goram broke my heart” would feature on his tombstone, he became one to remember for both sets of supporters. These days, the rivalry has become one that is more focused on the match rather than the off the pitch actions. Most of that is due to the stricter policing, but also because the fans know how important the game is. 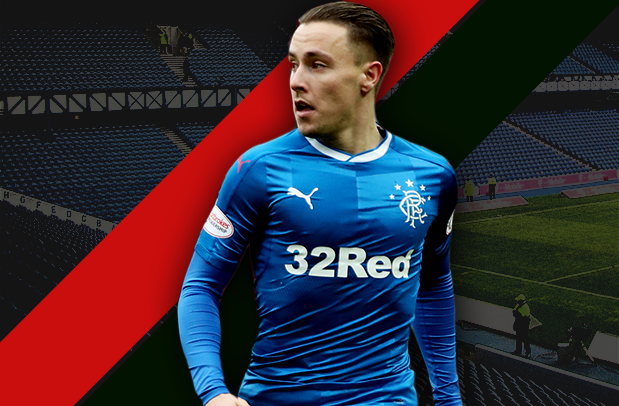 With Rangers returning to the top flight, the rivalry that looked dead is once again at the heart of the Scottish game. After Rangers beat Celtic on penalties in the Scottish cup last season, the Celts will be out to avenge that loss as Brendan Rodgers looks to win the league in his first season. With Moussa Dembele and Joey Barton coming to Scotland this summer, the Old Firm is a can’t miss match once again.